The Syria Arab Red Crescent (SARC) is considered one of the largest humanitarian aid organization in Syria and was established by the republican decree No. 540 of 1942 before the independence of the Syrian state from the French mandate in 1943. The humanitarian organization was registered in the Ministry of Labour and Social Affairs in Syria in order to have an official status, where the International Committee of the Red Cross (ICRC) was the only official humanitarian organization in Syria that time, which was established by France. In 1945, the Syrian Government officially recognized the SARC and became an alternative for the ICRC, and the latter has officially recognized the SARC by Circular No. 375 of 1946. The SARC was re-established in 1966 by decree No. 117 due to seizing the governance in Syria by the Al Ba’ath Party in 1963. 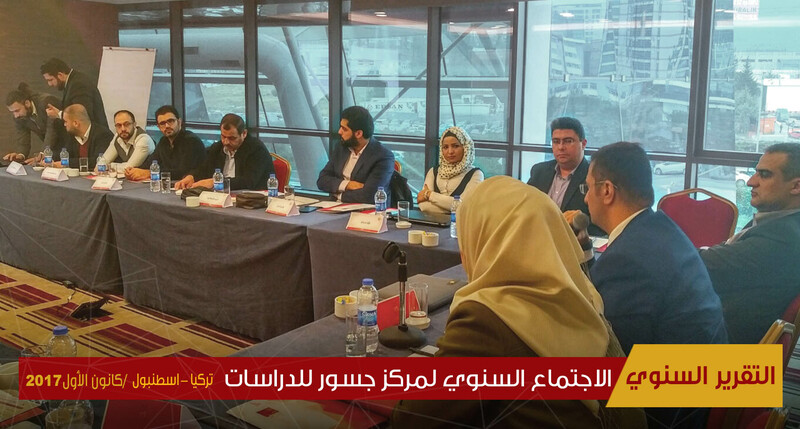 During that period, many civil society organizations were nationalized through the enactment of laws that could organize the working mechanisms of those organizations under the Al Ba’ath Party’s umbrella and were officially attached to the party itself. Moreover, the SARC is a member of the International Movement of the Red Cross and Red Crescent, the International Federation of Red Cross and Red Crescent Societies (IFRC), and the General Secretariat of Arab Red Crescent and Red Cross Organization (ARCO). Also, the SARC is being respected by most of Syrians because it is one of the greatest and strongest national organizations with regards to disaster response in Syria. And, the SARC deems itself as a humanitarian organization with financial and administrative independence in addition to having legal personality. During the past seven years, the United Nations partnerships were confined with the SARC in the regime-held areas because the International Organization needs a legal and local partner that is adopted by a political system with international recognition, and those conditions are available in the SARC. Idlib Province was the only place that has witnessed a direct contact between the SARC from one side and the Syrian opposition and civilians from the other side. This study aims at analyzing the performance of the SARC through the past seven years and the impact of the political and security realities on this organization. 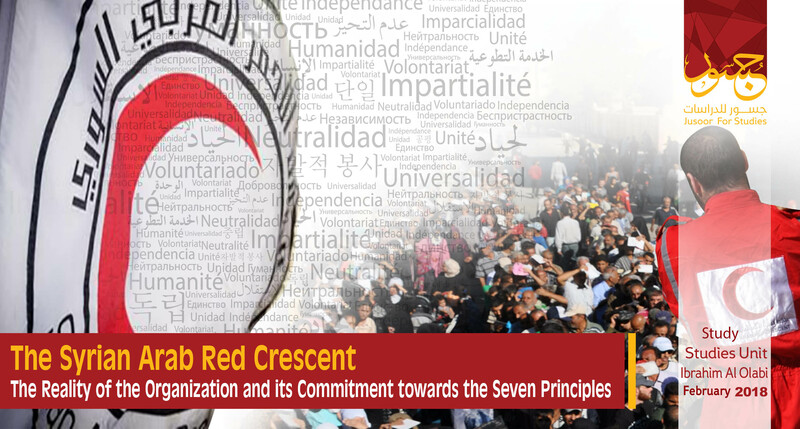 The study also shows the extent of commitment of the SARC towards the seven principles that are considered as the main pillars for the working mechanism of the SARC and all Red Crescent and Red Cross organizations worldwide. Our study is based on interviews with past and present volunteers and staff of the SARC in addition to the released news items by the humanitarian organization itself and other bodies. Volunteers are deemed as the main pillar of the SARC, which has a branch in each Syrian Province thus, the SARC has 14 branches nationwide and its headquarters is located in Damascus, also 75 sub-branch are distributed in different provinces. 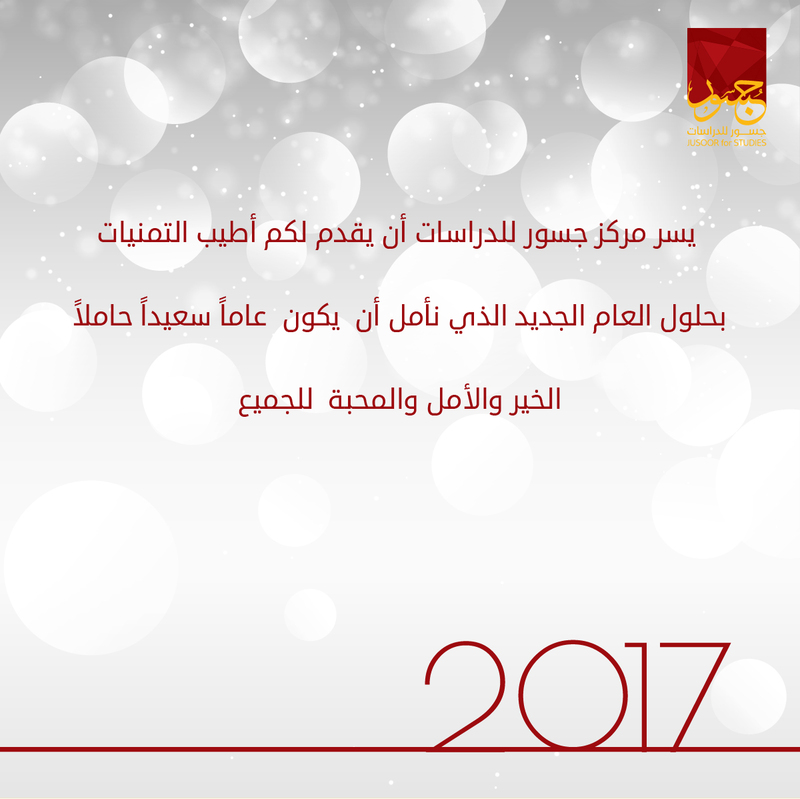 The SARC has rules of procedure and statute that organize the working mechanism of this organization through the formation of the boards of directors for the SARC’s branches in addition to the presence of the board of directors and the executive office (the highest executive body) for the SARC’s headquarters in Damascus. The rules of procedure have prevented many tyrannical conducts by the SARC’s administration. However, it has failed to guarantee the integrity of the internal electoral process, avoiding the intervention of the security forces and other authorities in the SARC’s work, or protecting the 7 principles especially, after 2011. Furthermore, the administrative hierarchy has become corrupted and dominated by some senior officials from the Syrian regime (as explained below). The SARC’s volunteers form the public body of each branch in the Syrian provinces, as this body elects the board of directors of the branch after electing 7 candidates and the number of votes determines the head of the branch, the treasurer, and other positions on the board of directors, also the director of the branch is appointed without election in order to help the board of directors in the operational work. Syrians are free to affiliate with the SARC by paying 100 Syrian Pounds (SP) in order to become volunteers, after that, they can become members of the general body of the branch. However, there are certain conditions for the volunteer to nominate him/herself for the elections as follows: pay 500 SP, 5 years of volunteering in the general body, the candidate should be above 30 years. Each branch of the SARC has a permanent set of unelected committees such as the social committee, media committee, humanitarian and international law committee, Ladies’ Committee, and Human Resources’ Committee. However, the Youth Committee is the largest body of the other committees, and supervises the work of volunteers between 18 and 30 years, also this committee is considered as the only body that is elected by volunteers of the above-mentioned age group, while those volunteers do not have the right to become candidates in the general elections unless they fulfil the above-mentioned conditions. Many specialized departments are emanated from the Youth Committee such as the disaster-management, ambulance, psychological support, Health, and environment. - The First Administrative Level: includes all boards of directorates in the 14 provinces thus, 98 individuals are being included in this level because each board of directors has 7 individuals, while those boards form the general body of the organization, which is considered as the first administrative level of the SARC. - The Second Administrative Level: this level is known as the “board of directors of the organization” and it contains 2 individuals in each branch, who have already been appointed by the rules of procedure as head and deputy of those boards consequently, the total number of the boards’ heads and deputies is 28. - The Third Administrative Level: members from the second administrative level elect 5 individuals among themselves in order to become members of the executive office and form the third level in the SARC, where this office is considered as the highest executive body in the SARC and holds weekly meetings in order to make certain decisions, present proposals to the board of directorate, appointing the head of the organization along with granting him/her high authorities, and determining the internal and external operations. - The Public Management: all committees and central administrative departments, that are similar to the specialized departments in the SARC’s branches, are managed by the director of the organization, while members of the executive office appoint their director needless of any elections. - Meetings and Elections: the general bodies of the SARC’s branches hold annual meetings for approving the organization’s budget, whilst the by-elections and central elections take place every 4 years, but those elections have stopped since 2011. Khaled Hboubati is the current president of the organization and a businessman who had “Nadi Al-Sharq” or “Orient Club” casino that was closed after few months, also his father had three casinos. Hboubati is the son-in-law of Rateb Shallah, the chief merchant in Damascus also, Khaled Hboubati did not assume any administrative position such as a member of the executive office, member of the board of directors, staff in the SARC, or even a volunteer. He was appointed as the president of the SARC after issuing a decree by Imad Khamis, the Prime Minister of Syria, as Abdul Rahman Attar the former president of the SARC was forced to resign due to official order from Imad Khamis himself. 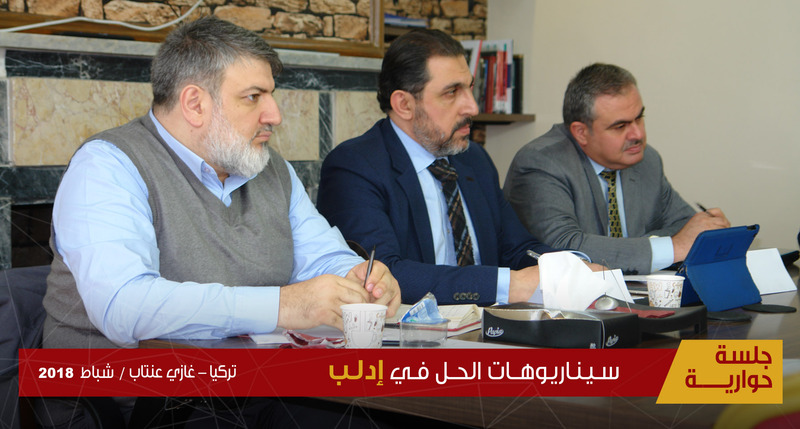 Furthermore, the SARC’s current administrative positions are being assumed by the following characters: Dr. Mohammed Waleed Sankari, the vice president of SARC and a former head of SARC’s branch in Aleppo Province, Widad Hilal, the treasurer, Dr. Mu’taz Al-Atassi is the secretary and a former head of SARC’s branch in Homs Province, and Usama Bitar is the general manager. Theoretically, the SARC’s rules of procedure are strong and coherent and ensure the smooth functioning of the organization along with its external activities, also it organizes the internal structure perfectly. However, the SARC’s rules of procedure have flaws that were in the interest of the Syrian regime especially, after 2011. Most likely, heads of the SARC’s branches are being approved by the Syrian security forces because the security control already exists in the different institutions of the Syrian state and it is not true that all heads of the SARC’s branches affiliate with the Al Ba’ath Party. However, those who have an affiliation with the Al Ba’ath Party try to curry favor with the Syrian regime such as Shuaib Shaaban and Mu’taz Al-Atassi. Heads of the SARC’s branches and boards of directors represent the sect and demographic majority in the province, as the Syrian regime and opposition made use of this reality in order to gain humanitarian and health aid in their controlled areas, while some of those heads were killed or detained due to assisting rebel-controlled areas especially, in Homs, Daraa, and Rif Damascus. Employees of the Administrative staff department in the SARC receive high salaries, where children of senior officials work in this department. Further, any senior official can employ his/her children of relatives by contacting the head of the SARC’s branch without passing through the rules of procedure’s stages. The above-mentioned situation varies between the provinces. However many influential officials from the Syrian regime’s institutions had a negative impact on the SARC’s rules of procedure especially, after 2011 because many retired officers from the Syrian Army or the Security Forces have assumed senior management posts in parallel with the voluntary or forced departure or even the arbitrary dismissal of the qualified staff due to the stoppage of elections in the SARC. There are lobbies based on familial, sect, and regional structures in different provinces that control the working mechanisms of the SARC’s branch and its humanitarian response, for example, family members of Jarida and Al Sayyed have dominated the SARC’s branch in Quneitra and formed popular committees for supporting the Syrian regime during the past few years. Tammam Mahriz is one of the most influential characters in the SARC’s branch because he is the nephew of Assef Shawkat and his demands must always be fulfilled as per some of the interviewed individuals by our end. Mehriz has been working in the SARC for 20 years and now he supervises the organization’s operations in all provinces including Idlib province and Rif Damascus as a precedent in the history of the SARC because Tammam Mahriz is the first Alawite character to become a president of the SARC, as many families from Damascus were dominating the SARC due to their long-term voluntary service in this organization such as Attar family. The role of the security apparatus has changed considerably after 2011, as many volunteers and staff in the SARC were detained or wanted due to infiltrating the organizations by security agents, who were volunteers or managers in the SARC. Despite the fact that the elections in the SARC were marred by cronyism alongside the intervention of many influential and security centers, they were stopped under the pretext of the Syrian crisis consequently, the rules of procedure have been disrupted and the following boards of directors are considered illegitimate at the legal level. Since 2011, the disruption of the SARC’s elections has caused the appointment of members of the SARC’s branches by the board of directors and its executive office. the military campaigns conducted by Assad’s forces against civilians in some zones. Moreover, the response of some volunteers and staff with regards to providing an ambulance for the wounded civilians or distributing food forced the Syrian regime to dismiss those people and appointing those who have close ties and certain political views that comply with the Syrian regime’s approach. Dr. Abdul Rahmah Attar is considered one of the most prominent dismissed characters, who was a former president of the SARC and a well-known businessman. Attar has been replaced by Khaled Hboubati because of allowing teams from the SARC to operate in rebel-controlled areas. Furthermore, many staff and managers were removed or dismissed after the presidency of Hboubati such as Rami Sattouf, treasurer of the SARC, Marwan Abdallah, manager of the organization, and Dr. Hazem Baqleh. It is worth mentioning that some staff of the SARC has left due to indirect pressure or the deliberate exclusion practices. Raed Al Tawil is one of the most notable examples of oppressive security practices against the SARC’s volunteers and staff, where he has been a volunteer for more than 18 years and came back to work in 2011 as medical director (after one year of resignation). Tawil, who ascended the aid agency’s ranks to become an elected board member, was responsible for a medical point and was providing medical assist for the demonstrators against the Syrian regime and the locals of rebel-controlled areas later without regard to their political views, where he was arrested by the security apparatus in the SARC’s headquarter in Damascus and after few months of forced disappearance and life-threatening conditions, Raed Tawil was exiled to Lebanon and followed by Geneva at later time after mediations by many international organizations. As for the normal volunteers, they were dismissed by the board of directors and there are four categories of dismissed individuals as follows: those who were dismissed immediately, suspended from work, monitored and wanted by the security apparatus, and those who left the SARC on their own due to the security pressure. Most of the charges against the above-mentioned individuals were related to transporting arms by the ambulance cars, providing medications for the gunmen, and distributing food for the families of the gunmen. It is worth mentioning that the majority of those people have left the country. The SARC’s Directorate has abstained from paying the late salaries, giving severance pay, giving a certificate of experience, or even presenting recommendation letter for those who quit, dismissed, or under detention in order to prevent them from working with other relief organizations abroad or in the Syrian opposition’s areas. It is notable that, most of the volunteers have left the SARC’s branches in Hama, Rif Damascus, and Aleppo Province and the total number of volunteers who traveled abroad (either voluntarily or by force) is 300. The SARC depends on two main resources for funding its projects and activities, one of them is the international aid from national or international organizations and the second resource is the cost of the SARC’s stamp in Syria. United Nations Agencies and organizations are the main supporters of the SARC in addition to the IFRC and the ICRC. Also, the SARC gets fund and support from some national societies of the Red Crescent and Red Cross such as the British Red Cross, the Danish Red Cross, and the Dutch Red Cross. The first aid department is being funded by the ICRC and IFRC, UNICEF funds the health promotion projects, the World Food Organization (WFO) provides food, UNHCR provides non-food items, and the Danish Red Cross funds the psychological support projects. Act No. 8 of 2004 stipulates the issuance of the SARC’s stamp and to be used in some official transactions, while 25 % of the yield belongs to the humanitarian organization. The value of the stamp was 10 SP and changed to 25 SP in 2015 in addition to increasing the yield which is now 40%. As per this Act, the rest percentage of the yield that comes from the stamp’s cost is allocated for supporting research on cancer. The response of the SARC’s teams have varied nationwide according to the targeted area and the temporal phases of the conflict, also the response was limited and corruption has increased dramatically. Since the beginning of the popular protests in 2011, the SARC has continued its activities in most of the Syrian provinces, but the SARC’s branches in Lattakia, Tartus, and Hama have refrained from providing ambulance for the wounded protesters due to direct orders from the heads of those branches, while the response of the SARC’s branches in Aleppo and Damascus and other provinces was limited. After the start of battles and military besiege in some Syrian areas, the SARC’s volunteers and staff, who responded to humanitarian situations in the Syrian opposition areas, have become wanted by the Syrian regime’s security forces, as some of those individuals were dismissed and the others were detained, for example, Ma’moun Kharbout, food distribution officer in Jisr Al Shughur city was arrested in 2013 and released after few days because of mediations from Abdul Rahman Attar and other international organizations. Since the expansion of the armed opposition in different zones nationwide, the Syrian regime forced the SARC to focus its humanitarian activities in the regime-held areas at the expense of the rebel-held areas and ISIS-controlled areas. The SARC’s branch in Idlib and the two sub-branches in Maarret Al-Nu’man and Salqin still work in Idlib Province. However, they were subjected to undue pressure by the Syrian regime from one side and the armed factions in Idlib from the other side. On the other hand, the SARC’s medical and food aid in the Syrian regime’s areas have declined considerably, while Jaish Al-Fatah prevented the SARC’s branch in Idlib from importing any relief items from the Syrian regime’s areas and has tried to close this branch many times, but locals stood against these attempts because of the services provided by this branch. It is worth mentioning that the Turkish Red Crescent has supported the SARC’s branch in Idlib Province thus, the head and staff of this branch have become wanted by the Syrian security forces. The most prominent activities of the SARC’s branch in Idlib Province were as follows: specifying a team for retrieving the corpses under the rubble due to the aerial bombing by the Syrian regime in addition to handing over the bodies to their relatives, documenting the whole process, and presenting a document to the families in order to process the transaction in regards to the death of the person in the Syrian regime’s institutions. The SARC’s branch in Idlib Province conducted limited activities such as establishing a medical point of 7 doctors, providing psychological support and psychological first-aid, health promotion, and transporting people with critical medical conditions to other areas in order to be treated. The SARC’s branch in Idlib Province is located in Carlton Hotel in the city. The hotel was bombed in February 2017 and Ma’moun Kharbout was slightly injured, about which Kharbout resigned because he deemed what happened to him as a personal message from the Syrian regime, also, bombing the hotel (possibly by a Russian aircraft) can be attributed to the fact that the SARC’s branch in Idlib is the only facility that is out of the Syrian regime‘s control. Moreover, the SARC’s branch in Idlib is a sensitive situation for the Syrian regime because it supports unwanted groups despite its weak funding and resources, whilst Ma’moun Kharbout did not receive any request from the SARC’s headquarter in Damascus with respect to withdrawing from Idlib Province or closing Idlib branch and the reason behind that is avoiding any embarrassment between the international relief communities by the Syrian regime. Conversely, Ma’moun Kharbout has issued statements denouncing the frequent bombardments of Idlib Province, calling for protecting the civilians, and keeping a neutral position for the SARC in Idlib. And, such statements have caused constant embarrassment for the Syrian regime. • The seven principles (announced in Vienna in 1965) represent the common bond between the national Red Cross and Red Crescent societies, ICRC, and IFRC. And thus, all organizations that are included in the IFRC should abide those principles, which are as follows: Humanity, Impartiality, Neutrality, Independence, Voluntary, Service, Unity, and Universality. Based on the foregoing analysis and study, we will try to determine the extent of obligation with regards to the seven principles by the SARC. It should be noted that, most of the new volunteers, who affiliated with the SARC (after 2011) have not been trained about the seven principles that used to be a usual procedure before the Syrian crisis, while the SARC justifies this situation with the considerable humanitarian need for aid and support comparing to the situation before 2011. It must be pointed out that our study focuses on the role of the SARC after 2011 because the influence of the Syrian regime was limited towards this humanitarian organization before that time thus, the SARC was committed to those principles. Its purpose is to protect life and health and to ensure respect for the human being. The performance review of the SARC (during the past few years) shows that it has been under the influence of the Syrian regime and refrained from providing service for certain groups and individuals. It makes no discrimination as to nationality, race, religious beliefs, class or political opinions. It is clear that discrimination has already taken place due to political opinions of the beneficiaries, also, there was a huge difference between the rebel-held areas and the Assad’s forces-held areas with regards to the humanitarian aid and relief, which favored the Syrian regime’s areas. Whilst, orders were issued by certain branches that prevented the SARC’s teams from providing an ambulance for the wounded or killed protesters due to the violent actions of the security forces. This principle stresses on the fact that the humanitarian organization may not take sides in hostilities or engage at any time in controversies of a political, racial, religious or ideological nature. While this principle was constantly violated because many individuals assumed high positions in the SARC as per security recommendations and they have dismissed and removed many volunteers and staff because of their loyalty to the Syrian regime. Further, some of those individuals were reporting their colleagues to the security forces in addition to giving information about the rebel-controlled areas after entering them with the UN. The SARC has documented the names of cadres and volunteers who were killed or detained by the Syrian Security forces during the first three years of the Syrian crisis on its official website under the title “SARC Memorial”(1) . 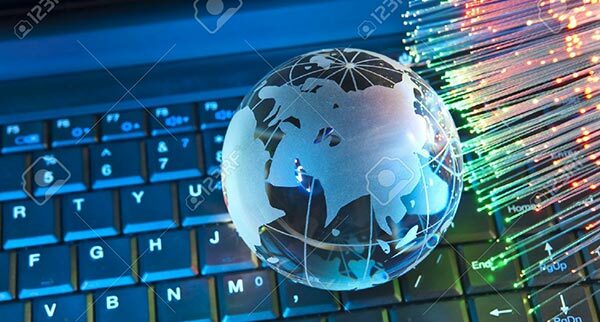 However, the humanitarian organization has stopped the documentation end of 2014 without presenting any reasons. The humanitarian organization must always maintain their autonomy so that they may be able at all times to act in accordance with Red Cross and Red Crescent principles. The Syrian regime sought the intervention in the services that the SARC provides and aspired the dominance of the whole humanitarian organization in Syria consequently, such interference is a violation of the international norms, knowing that the SARC works in parallel with the local authorities as per the international frameworks. In 2012, the Syrian regime has deliberately formed the highest committee for relief through the Ministry of the Labour and Social Affairs, where the main task of this committee is to coordinate the working mechanism between all humanitarian organizations nationwide including the SARC. However, the role of this committee has been abolished and the Syrian regime replaced this body with other committees in each province. Also, the Ministry of Local Administrations has become the new supervisor of those committees instead of the Ministry of the Labour and Social Affairs. The humanitarian organization is a voluntary relief organization not prompted in any manner by desire for gain. This principle has not been violated even if there were some claims that some senior officials stole humanitarian aid. The Syrian regime’s policy towards the SARC’s branches in the Syrian opposition’s areas has caused the intervention of other international organizations in those areas such as the Kuwaiti Red Crescent and the Qatari Red Crescent in order to fulfil the huge needs of locals in the rebel-held areas, as the Syrian regime rejected the SARC demands to fulfil those needs. The Red Cross is a worldwide institution in which all Societies have equal status and share equal responsibilities and duties in helping each other. No violations took place in this regards, as this principle has to do with the international movement rather than the national societies.